Bookbinding Etsy Street Team: what adjective IS there for flurrsprite...? well, we really don't know, but i'll try and think of something while you read all about miss flurrsprite's awesomeness. so with that out of the way, we can move on to the items. we'll start with omnomnom. b) isn't that the cutest little sparkly ribbon bookmark!? c) it has different kinds of paper in it. i <3 books like that. the other item is just as cute, and has an even cuter story to go with it. 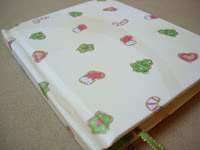 the Sale: the "christmas cookies handbound book" will be on sale for 30% off, and one "have a very good!" 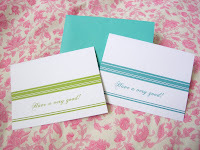 holiday card (your choice of color) will be included for free!